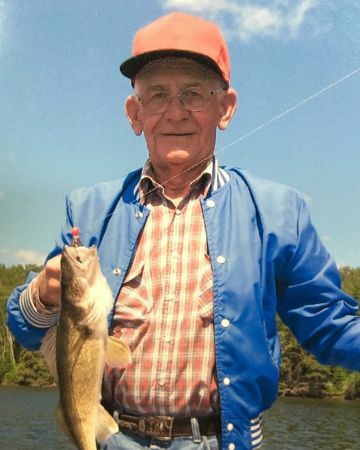 Peter M. Goertzen of Morden went to his eternal rest on Saturday, April 13, in the early evening while at the Boundary Trails Health Centre. He was 78 years old. He was born to Jacob and Helena (nee Martens) Goertzen on June 12, 1940 in Mexico. He never knew his father who passed away when Peter was an infant. His mother, who had two boys, married Abram Friesen, a widower with children of his own. This melded family grew to a total of 18 children. Peter was baptized on May 22, 1961 and became a member of the Old Colony Church in Mexico. In 1961 he married Helena Thiessen of Huffnungsfeld, near Cuauhtemoc, Chihuahua, Mexico. They decided to move to Canada to begin a new life in 1966, travelling with two boys in tow. As a young family they moved from Lena (near Killarney) to Winkler and eventually settled in Morden where Helena still resides. Here they raised their five children. Peter worked at Farm King in Morden for 39 years. In the welding department he was in charge of training, supplies and quality control. He transitioned to product development and later the machining department. He also did custom repair and manufacturing of farm machinery on farmyards and out in the fields. He survived prostate cancer but later developed an autoimmune disorder that damaged his kidneys. His dialysis treatments started at Seven Oaks Hospital in Winnipeg. Later he was able to get treatment near Morden at the Boundary Trails Health Centre. He was predeceased by his father Jacob Goertzen (1941), stepfather Abram Friesen (1971), mother Helena (nee Martens, 2001), and a number of other siblings. Peter is survived by his wife Helena, their children Peter, Cornelius (Sharon), Susan (Brian Stewart), Jacob, Johnny (Traycee Peters) and grandchildren Gabrielle, Kierra, Karter, Mark, Luke and William. Hi aunt Helena and family, sorry for your loss may God comfort and blessed you!! Our condolences to the family’s for your loss. Such a sweet man he was, he will be missed. Hey all. Sending you all the love we can muster. Please squeeze your mama on our behalf. Hang in there. Our Thoughts & Prayers Are With You Helena & Family. He Was A Wonderful Neighbour. We are saddened to hear of Peters’s passing. Our deepest thoughts and prayers are with you all. Our condolences to the family’s for your loss.